I recently announced a challenge on CQT Holiday Episode #25 for all of you to make a Quilt of Valour. Since that episode aired last week I have already had one photo emailed in! I'm so excited to show this Quilt of Valour made by Melissa Marginet of Beausejour, Manitoba. 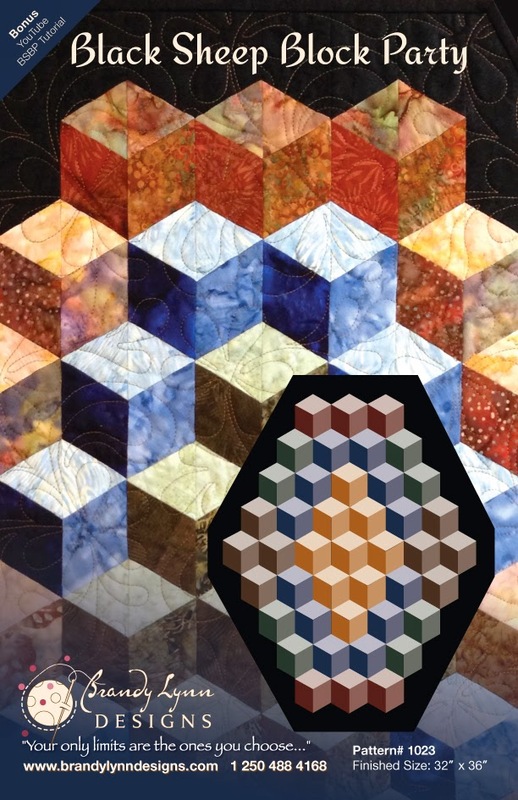 Make a quilt for Quilts of Valour anytime from now until the end of 2014. (I know it takes time to make a quilt, so you have a whole year!) 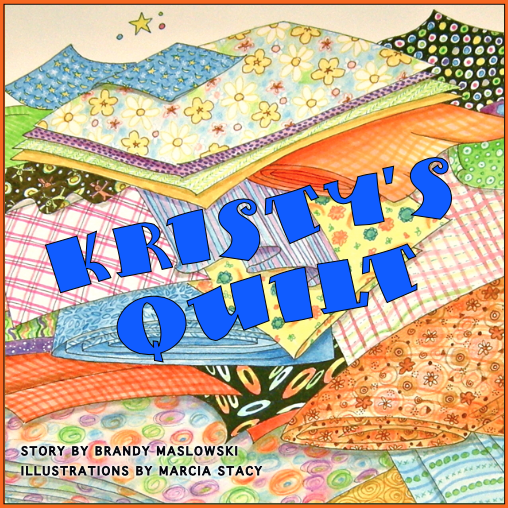 If you send me a photo of the quilt you’ve made to donate - I’ll post it on my blog and send you a free Brandy Lynn Designs pattern. SIMPLE AS THAT! 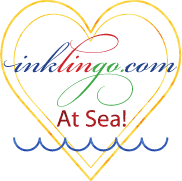 So congratulations Melissa - your pattern is on its way! I was blown away when I recently interviewed Lezley Zwaal from Quilts of Valour and shocked by the huge need they have for quilts. If she received hundreds of quilts today she could give them all away in a heartbeat, so the need is there. That's why I decided to issue the Quilts of Valour Challenge! And I'm not just asking YOU to drop everything and make a quilt. I'm asking you to join ME in making a Quilt of Valour. I've drawn up my design, chosen my fabric and I just spent an hour piecing and cutting my half square triangles. Please come along with me and make a Quilt of Valour! It is just good for the soul and it will really help an injured soldier in need of a warm hug. For my first Quilt of Valour I’ll be using the Stonehenge Oh Canada line of fabrics by Northcott. You can find Oh Canada fabrics in quilt shops across Canada, or you can use any fabrics you have in your stash of course! I’m so excited to take on this challenge with you and I'm very proud to have landed Northcott as a sponsor for this project. Be sure to check out the Quilts of Valour website for quilt specifications. There's no point in sending a tiny kids quilt when they are hoping for adult twin quilts, so read their suggestions before you start. So that’s it - a simple challenge. 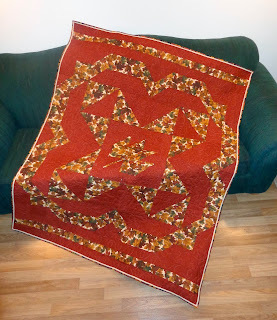 Make a quilt, let me know and you get a free pattern. 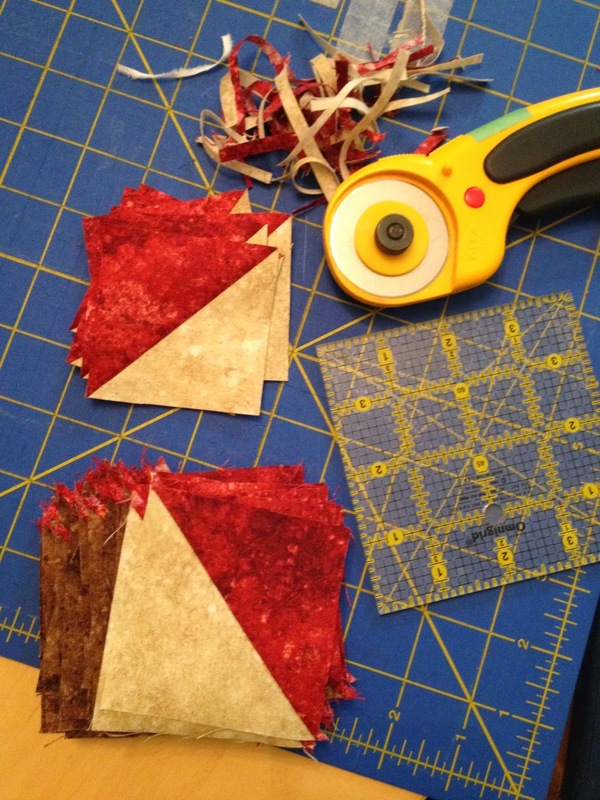 Why don't you follow along on my adventure AND JOIN ME TO MAKE A QUILT OF VALOUR? Watch the blog to see my progress as well as the quilt photos from everyone else who joins me. left you a review on Itunes and liked you on Facebook. Hope it all went through ok. Have a Merry Christmas. Thank you Brandy Lynn!! we will surpass the 5,000 quilt mark by Easter!! and yet would be able to hand out twice that many again! Our injured military and veterans truly appreciate the quilts that they can curl up with. The quilted hugs mean a lot to them. Check out website for the specifications for size and ideas!! www.quiltsofvalour.ca ! !